Is this a photo op? 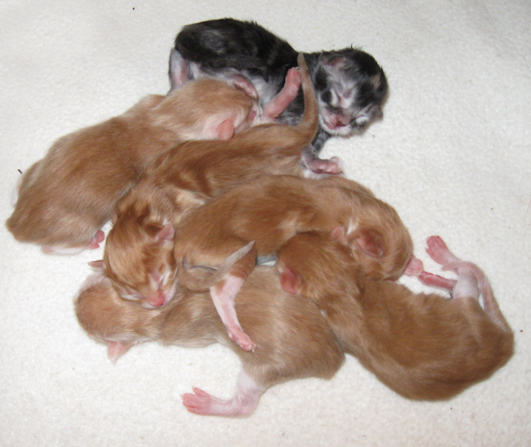 Well, Pippi decided to have her kittens a few days earlier than expected, so we have another six kittens in the house! 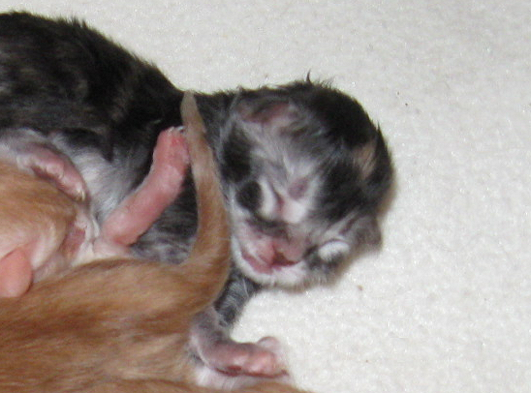 This is Pippi’s first litter, and she and the babies are doing fine. Like every new momma cat she is a little protective of her kids, but we managed to get a picture of the traditional “kitten huddle” anyway. 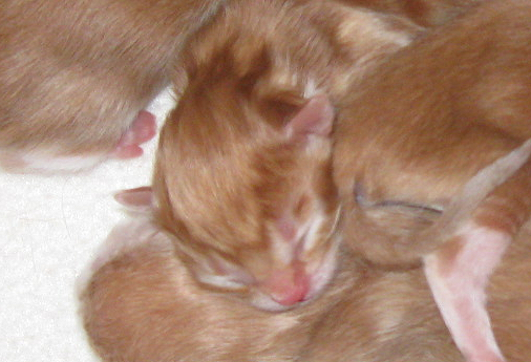 Let’s get a closer look at those sweet little faces… Ready now?